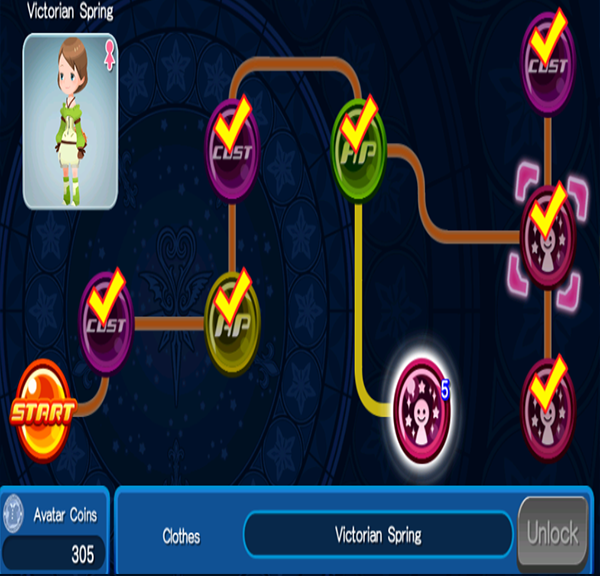 Be the best dressed in Kingdom Hearts Unchained X(KHUX) by using the Avatar Board Guide. Learn what the Avatar board does, how to use it and how to use it to your advantage in the game with this guide that covers everything about it. Where is the Avatar Boards? 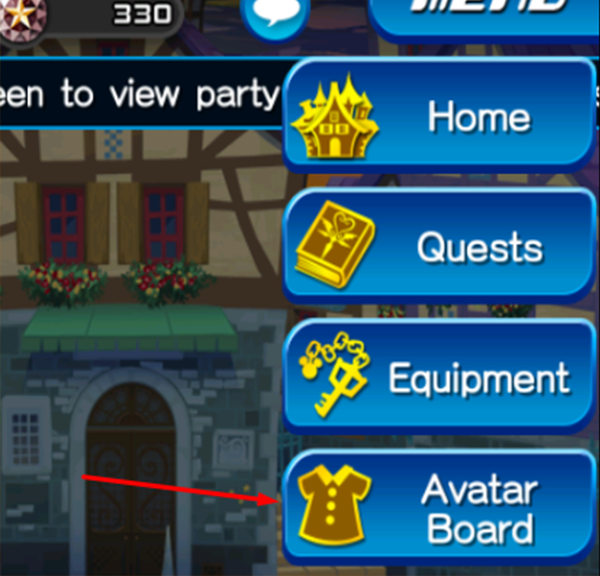 You will find the Kingdom Hearts Unchained X Avatar Boards located on the right side of the screen in the drop down Menu. What does the Avatar Board do? The Kingdom Hearts Unchained X Avatar board is a one part accessories and clothing shop for your avatar and one part stat enhancement for your character and keyblade. 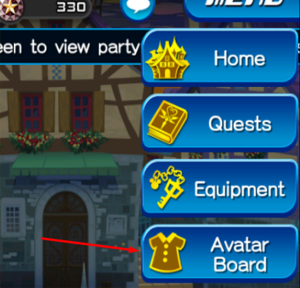 Most of the items in the Avatar boards you can unlock through Avatar Coins. Avatar Coins are typically earned by completing quest objectives, and then they are used at the Avatar boards either for a clothing item or accessory or just to unlock stat enhancement. 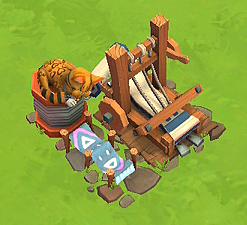 As you can see from the image above, you work your way from start and go as far into the items skill tree as you want. The avatar coins required for each item is different so be careful with how you spend them and focus on your keyblade capacity and AP first, then the item you’re trying to unlock. Below is an example of how you might spend your Avatar Coins. I unlocked every important stat, Keyblade Cost x3, Increase Max HP by 20, and 2 of the 3 pieces of this outfit. However completely unlocking a board could grant you a title. Why should I use the Avatar Board? Besides getting cool or cute clothing for your male or female character, the stats provided by the Avatar board is needed for a few reasons. One being that you need AP to clear stages, and this is one of the ways to boost that stat. The other primary reason being that your Keyblade has a capacity limit. The capacity limit of a keyblade is a number that raises due to the cost of the Medals put inside of the keyblade. If you go over the Keyblade capacity limit, you will not be allowed to equip the Medals. 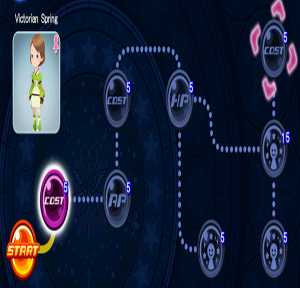 Thankfully you won’t run into this issue usually until you reach the 3rd or 4th Keyblade Medal slot. 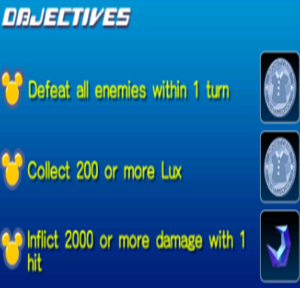 Later on in the game you will start collecting Medals to lower the cost of a Medal but this is the best way to deal with Keyblade capacity starting out. How do I get more Avatar Coins? You gain Avatar Coins when you complete specific objectives on each stage. 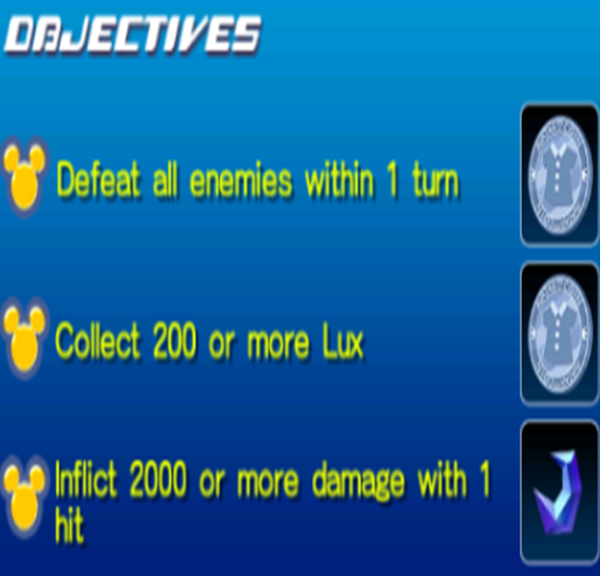 Objectives are the Mickey Mouse icons. A complete objective will be gold. If you failed to complete a stage early on, go back and do it later to get the additional Avatar Coins. Should I buy premium Avatar Boards? Certain items in the avatar boards do cost Jewels to unlock and you will still have to spend avatar coins on them but they tend to have different nodes that could contain boost, cost, xp or munny Medals. You also cannot view the board path of a premium jewel item until you’ve paid for it. What type of stats can I get from the Avatar Board? Below is a list of stats you can get from the Avatar Board unlocks. You can unlock male and female character costumes and their respective stats and benefit from it, even if you can’t wear the outfit. 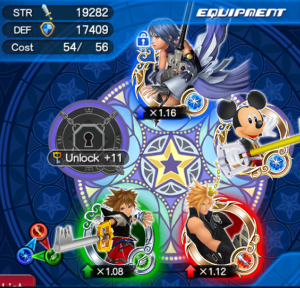 Cost: “Increase Keyblade cost capacity by 1”, increases your Keyblade cost, allowing you to use more medals & higher ranking medals. AP: “Increase max AP by 1”, increases your Ability Points, allowing you to take on more missions. HP: “Increase max HP by 20”, increases your Health Points, allowing you to withstand more damage during missions. *Note: A few nodes only give 5 HP. Accessory: Grants you a gender-specific hairstyle your Avatar can don. The description will tell you the exact item you are redeeming for. Boost: Grants a high ranking Chip or Dale medal, used to increase the attack and seasoneddefense of medals beyond leveling up. Items available on the Avatar Boards is based on your character level, and the higher your level the more pricey your costumes become to unlock. It’s in your best interest to unlock any of the beginning avatar board items, a lot of them come in at only 10 avatar coin cost. 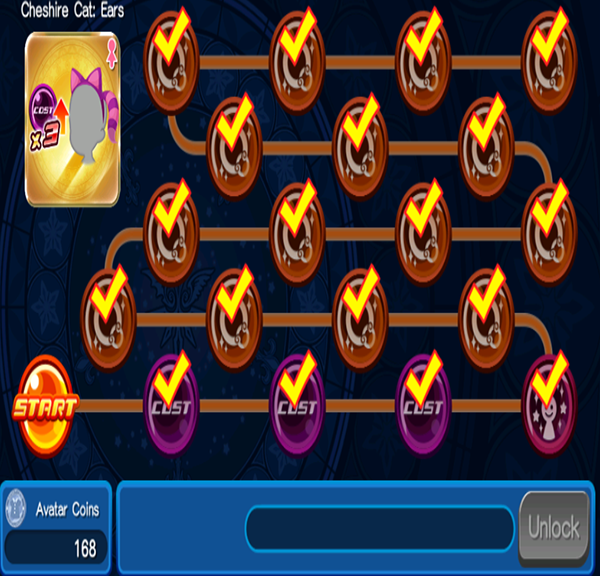 This will allow you to collect a lot of Keyblade capacity, AP and HP boost before you have to worry about how to spend your points later on where it can start easily costing 50 or 100+ Avatar coins. Become a Professional Gamer - Earn a Salary with Video Games? Man and woman unlocks are shared? I mean HP, AP, etc. or they have gender limitation? Yes. You are correct, the unlocks are shared for HP, AP and cost. So just unlocking stats upgrades on boards is good enough and obviously each board stacks. Correct? I don’t need to equip anything to get those bonuses? Right? Yep Mael, that is correct. You can unlock the bonus attributes but you do not have to equip the costume pieces.